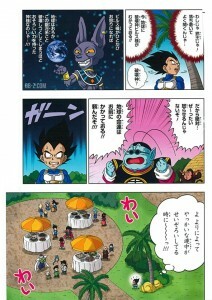 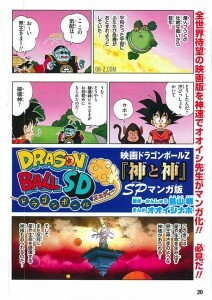 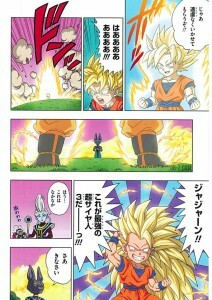 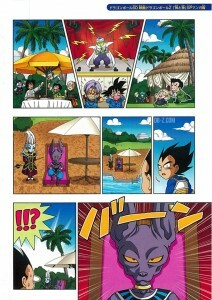 This chapter of Dragon Ball Z SD comes from the April issue of Shonen Jump Magazine in Japan. 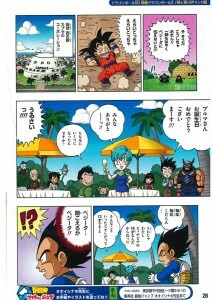 It doesn’t give too much away regarding the story but points out that the first time Goku meets Bills may be on King Kai’s planet. 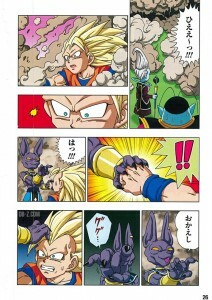 It’s the first Manga of any kind involving the Dragon Ball Z : Battle of Gods villains and will hopefully open the doors to a full Manga based on the movie. 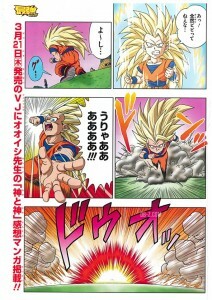 There is a very strong chance that this movie will kick start a whole new Dragon Ball series but so far fans can be happy with this short manga release.